A tripod comes with three features: the legs, the head and the mount. Each is an important choice. Needless to say, the more solid and heavier the tripod, the more sturdily it will hold your long lens. A well-built tripod will last decades (like my magnificent and trusty Benbo as you can see by these pics). The legs should splay widely and unevenly. Try to get one with as few sections as possible for greater stability. The leg locks should be as few as possible, and easy to grasp, turn and lock. For bird photography, a quick release is essential and it really should be a “quick” release. Some of them are really tedious to use. 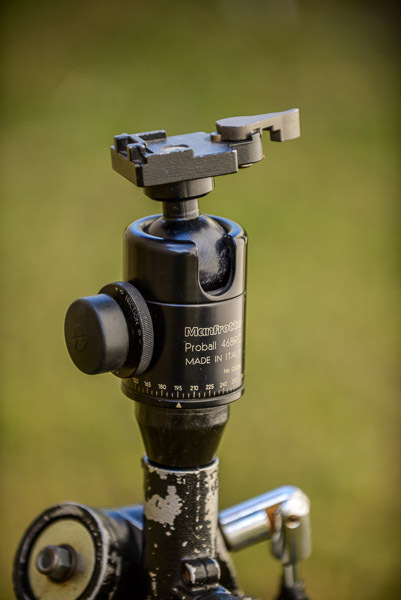 Manfrotto ball and socket head with Manfrotto quick release mounted on Benbo tripod. I used to think that the only head for bird photography was a ball and socket head. That’s because I couldn’t afford a gimbal head. The Wimberley, made in the UK, used to be the standard for bird photography and virtually essential for the big prime lenses like 500 mm. But it had a hefty price tag. Recently, several things have happened: manufacturers have brought in zoom lenses in the long ranges, like 200-500 mm, and they’ve made them lighter. 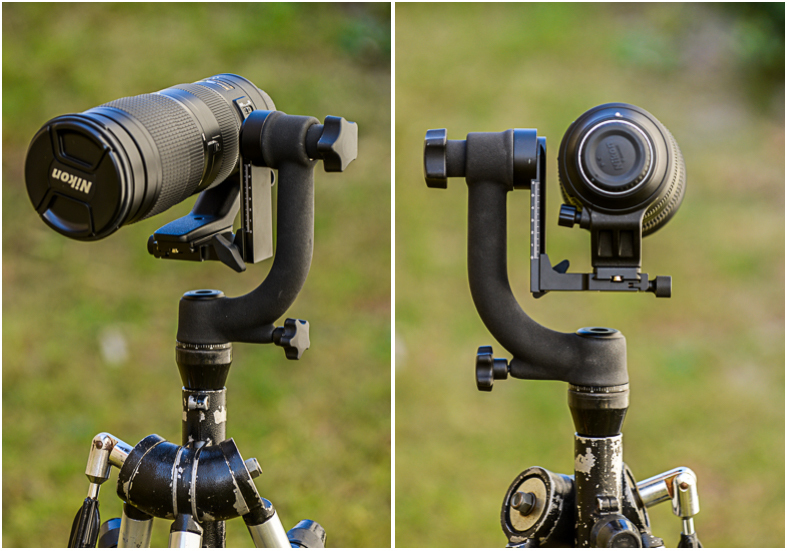 So it is possible to handhold them, doing away with tripods entirely. Other things have happened, like faster ISO cameras with high megapixel count making fast action bird photography a dream. You can even crop into the shot and no one would know! The last thing that happened was a boon to photographers (but maybe a curse to manufacturers): cheap knockoffs. The Wimberley has been copied and is available for a tenth of the price of the original. It is now possible for the weekend bird photographer to own a kit that results in prize-winning, exceptional bird images. 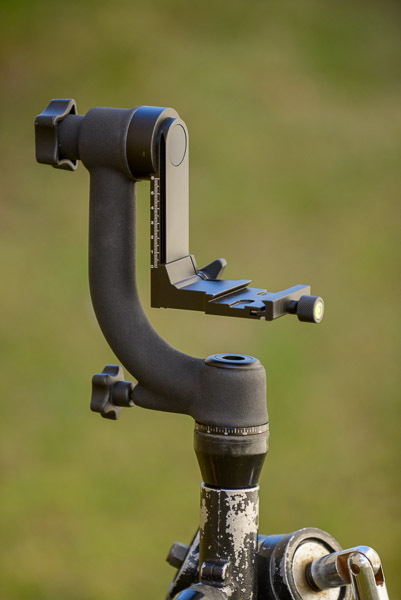 Gimbal head holding 200-500 mm zoom lens on Benbo tripod. If you need a little help or confidence with your bird photography, Geoff White and I are eager to share tips on handling equipment, special techniques and camera settings. We would love to have you join our Bird Photography workshop on the Central Coast, NSW, on Saturday 29 September 2018. You can book here or call us.